Veteran script consultant Jill Chamberlain discovered in her work that an astounding 99 percent of first-time screenwriters don’t know how to tell a story. These writers may know how to format a script, write snappy dialogue, and set a scene. They may have interesting characters and perhaps some clever plot devices. But, invariably, while they may have the kernel of a good idea for a screenplay, they fail to tell a story. What the 99 percent do instead is present a situation. In order to explain the difference, Chamberlain created the Nutshell Technique, a method whereby writers identify eight dynamic, interconnected elements that are required to successfully tell a story. 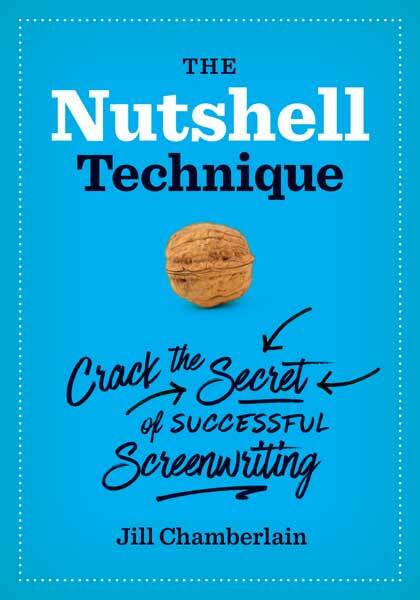 Now, for the first time, Chamberlain presents her unique method in book form with The Nutshell Technique: Crack the Secret of Successful Screenwriting. Using easy-to-follow diagrams (“nutshells”), she thoroughly explains how the Nutshell Technique can make or break a film script. Chamberlain takes readers step-by-step through thirty classic and contemporary movies, showing how such dissimilar screenplays as Casablanca, Chinatown, Pulp Fiction, The Usual Suspects, Little Miss Sunshine, Juno, Silver Linings Playbook, and Argo all have the same system working behind the scenes, and she teaches readers exactly how to apply these principles to their own screenwriting. Learn the Nutshell Technique, and you’ll discover how to turn a mere situation into a truly compelling screenplay story. Just over a century after the invention of the moving picture, Jill Chamberlain may be the one to have finally cracked cinema’s genetic code. Jill reveals that there is something deeper at work in successful feature film screenplays, something more than simply three acts and an Inciting Incident. Working behind the scenes (so to speak) are specific dynamics required for creating fully dimensional protagonists and emotionally satisfying stories. Jill has mapped out these key dynamics and calls her method the Nutshell Technique. I am not aware of any other book or method demonstrating anything like it. Jill positions her method against other approaches, arguing that they are not adequate in explaining the true reasons a feature film screenplay succeeds. She is correct, particularly regarding the canonical works by Robert McKee and Syd Field. While important, these titans fail to bring us to the “soul” of a film. 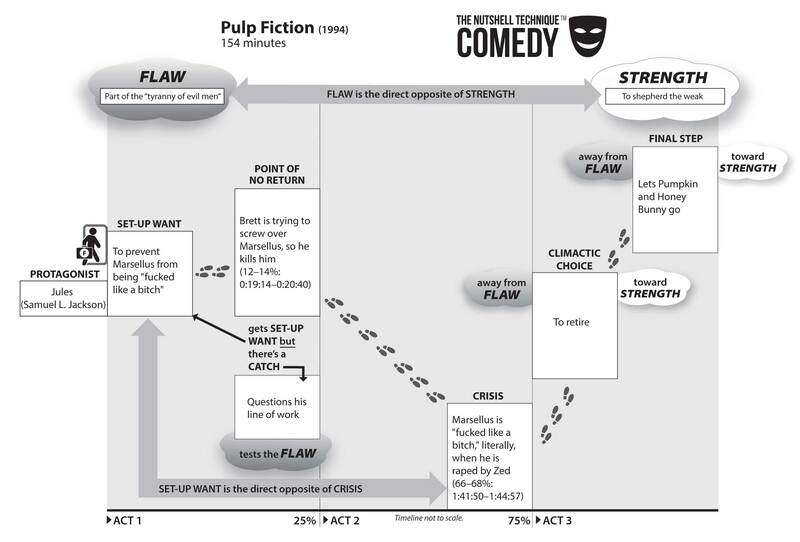 In general, there are two approaches to screenplay story structure. One focuses on plot. The other focuses on character arc and internal journey. Jill reveals that, in the best screenplays, these two pieces are, in fact, inextricably fused together. I stress with my students that a protagonist’s internal journey should be expressed in the external world of the film. 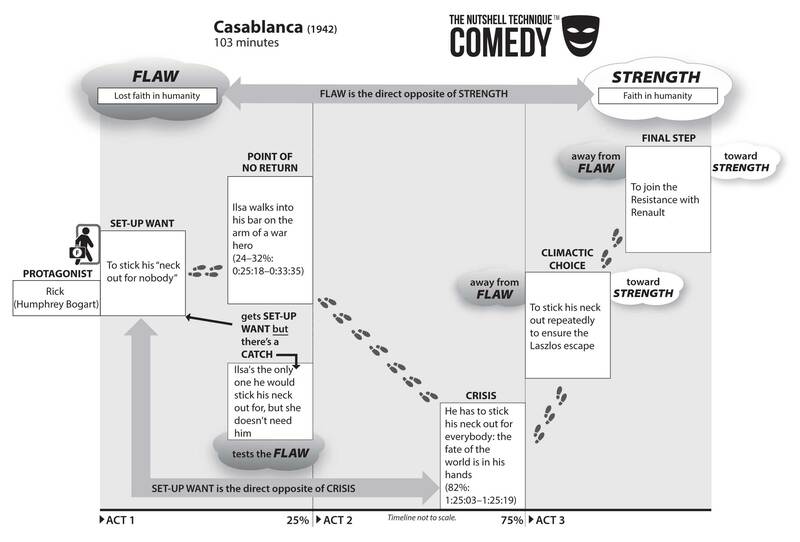 Every choice the filmmaker makes— regarding, for example, mise-en-scène, pacing, or lighting—should relate to the inner conflict of the film’s lead character. The darkness and decay of Gotham City mirrors Batman’s inner struggle to direct his rage and pain toward justice instead of vengeance. This book presents a holistic and systematic view of why certain film screenplays work better than others. To explain the Nutshell Technique, Jill applies it to thirty well-known films, demonstrating just how stakes are set up and propel the story forward. Reading through her film examples is something of a revelation. Suddenly you see why the Climax in great dramatic films can produce the adrenaline rush you would expect from an action picture. And then you realize that some action pictures are deeper than they may at first appear, resonating with us long after their 120 minutes on the screen have ended and entreating us to reconsider humankind’s biggest philosophical questions. It dawns on the reader why there is such a large graveyard of failed “blockbusters,” and why this didn’t have to be. There comes a point in developing almost any screenplay when you cannot see the forest for the trees and you lose perspective. The Nutshell Technique gives you back perspective. In requiring writers to identify story elements at their most essential, the Nutshell Technique guides them toward finding the authentic story that they originally intended to tell. As screenwriters, we need better tools to help us develop more resonant stories. As educators, we need tools that help our students understand the mechanisms at work in great storytelling. In these pages, Jill Chamberlain has put together a fantastic tool set. Cinephiles will also find this book insightful, because it is filled with excellent examples of films that succeed due to Nutshell Technique mechanisms working behind the scenes. This book is truly a must-read for anyone at all serious about understanding the mystery behind what makes a successful screenplay work.